Learn Corporation in partnership with Satit Pattana Secondary School are seeking a full time ESL/English teacher for May 2019. 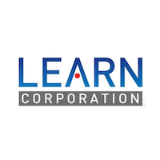 Learn Corporation are one of the leading providers of enrichment programmes in Thailand. Through this partnership Learn Corporation and Satit Pattana Secondary School are shaping a better future for secondary education in Thailand. As a first step in this partnership, the school is introducing the Cambridge curriculum for the teaching of English. The teacher will be responsible for helping setup and implement this programme within the secondary school. To apply for this position, and to find out more information, please send an email to the Admin Team: spss@learn.co.th When applying, please use “Learn Corp SPSS English Teacher” as the subject heading and include a short letter of introduction, your resume and the photo page of your passport. The package for this role is dependent on your qualifications and experience and the salary will be in the range 50,000 - 80,000 per month. Full details and terms and conditions will be sent to short-listed candidates. We are committed to providing a safe environment for our students to learn and for our staff to work. In order to do this all staff recruited are subject to our safe recruitment procedures which include assessment of information provided upon application, the interview process alongside verification of identity, qualifications, and references.